Simplecom SA221 is a 2 in 1 Combo Adapter for both M.2 and mSATA SSD to SATA and USB 3.0 interface. Use this adapter to easily access 6 different size M.2 or mSATA SSDs via standard SATA or USB 3.0 port. It’s an ideal solution for data backup and migration. 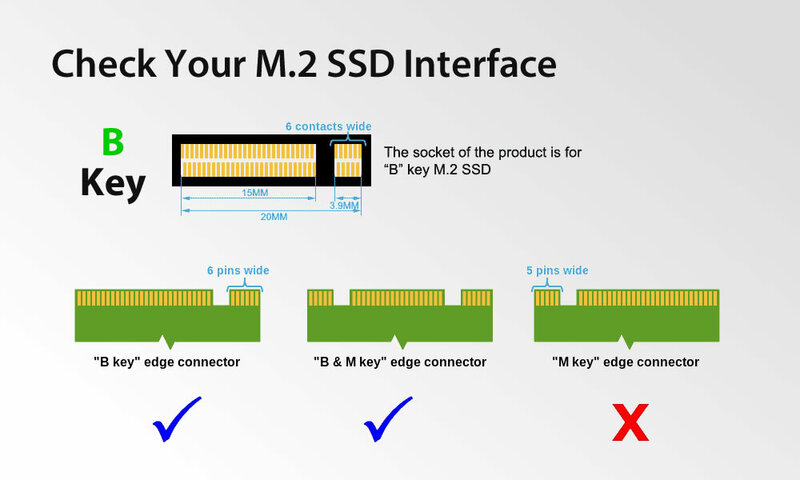 The M.2 interface is B Key, M Key only or NVMeM.2 SSD are not supported.